On Saturday I will be teaching a workshop for the Hertfordsire branch of the Embroiderers Guild JETS group. These Junior Embroiderers and Textile Artists meet a few times a year and are a wonderful group of young people who have learned over their time at the EG to try all kinds of textile techniques and experiments with stitch. The youngsters of today are the future of our skills and craft and it is a joy to teach them. 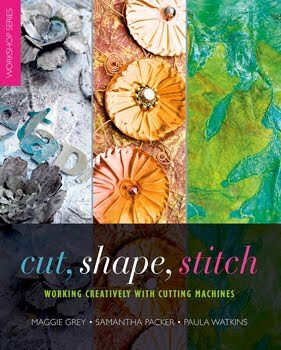 We will be experimenting with painting techniques on fabric and embellishing with stitch, print, text and collage. Sounds like a fun day doesn't it? Can't wait to get painty!